Color/Consistency Ajowan is an herbaceous annual, 30 -70 cm (1 -2 ft) in height, bearing feathery leaves and red flowers. The oil is a pale yellowy brown, and thin. 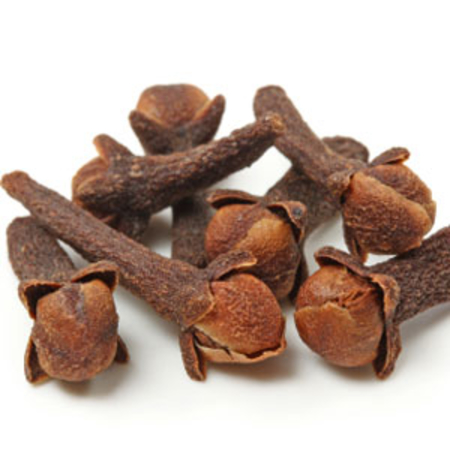 Aroma Ajowan has a herbaceous, spicy, medicinal odor, with a strong top not similar to thyme. 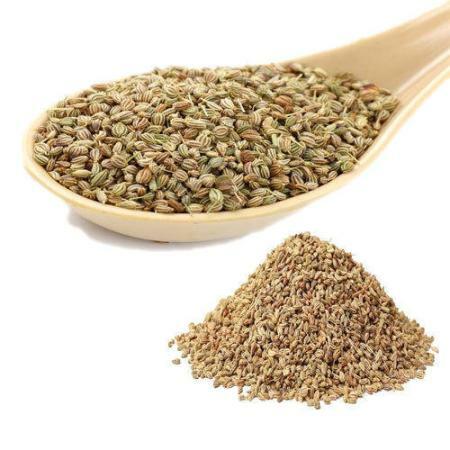 Ajowan Essential Oil, extracted from ajwain aka ajowan caraway or bishop’s weed, is an annual herb in Apiaceae family that originates in India. Normally, both the leaves and the fruit are consumed by humans. 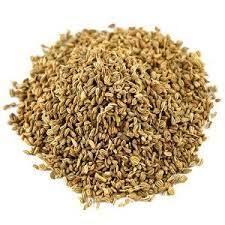 The ajwain plant is similar to parsley. 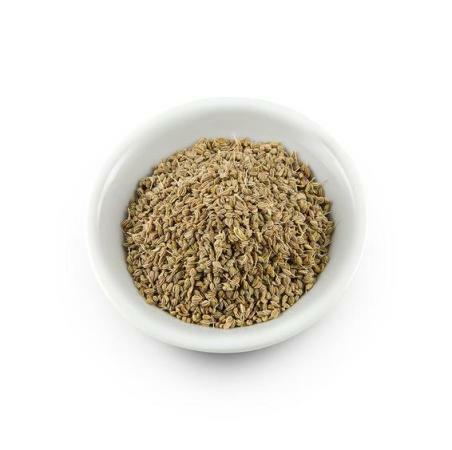 Even though it does not, even many popular dictionaries state that ajwain comes from the lovage plant. 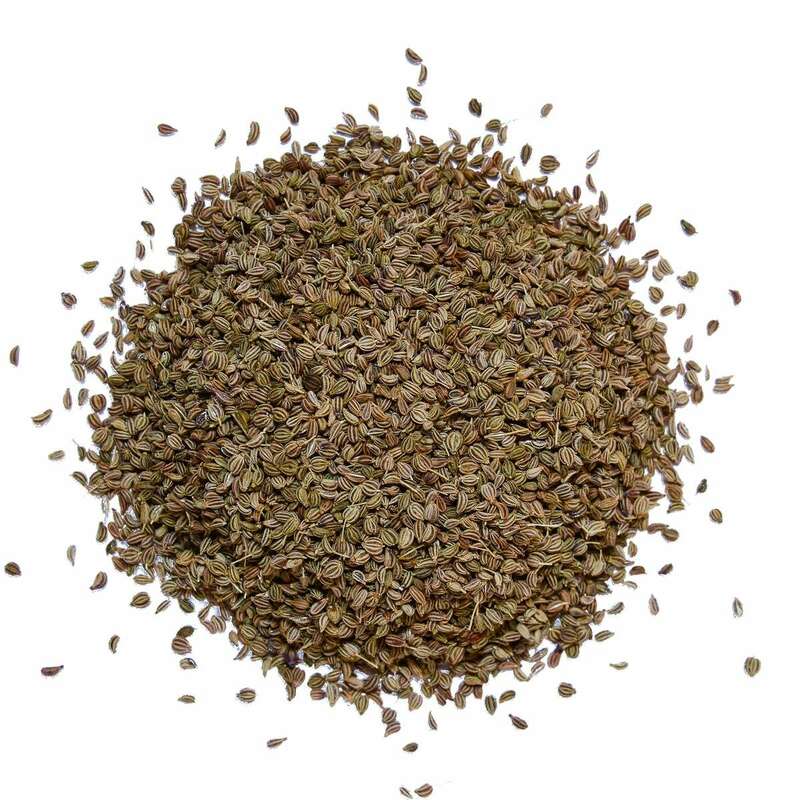 Hydrodistillation of Ajwain fruits yields an essential oil consisting primarily of thymol, gamma-terpinene and p-cymene. 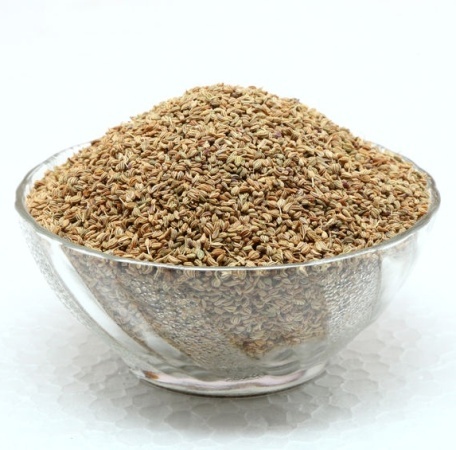 Ajwain originated in the Middle East, possibly in Egypt. It is now principally grown and used in the Indian Subcontinent, but also in Iran, Egypt and Afghanistan. 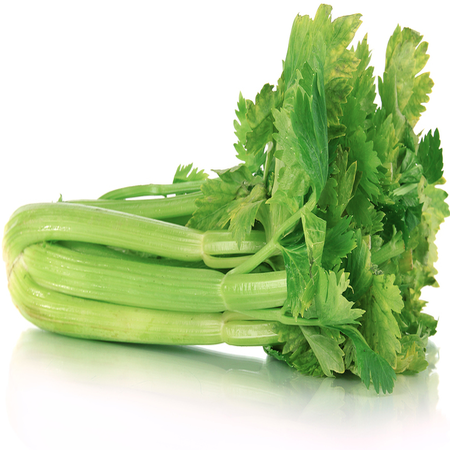 It is historically used in Ayurvedic Medicine and Indian cooking. It was used in WWII as an antiseptic because of its high thymol content, but now synthetics have taken its place. 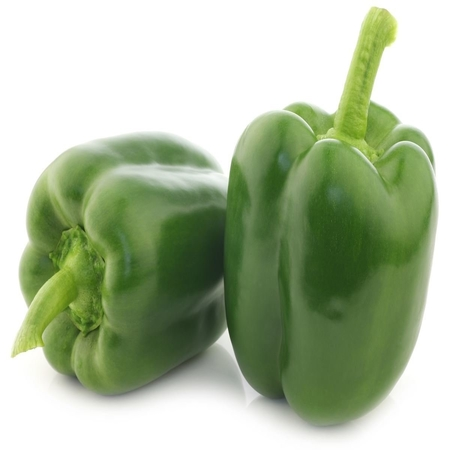 It is sometimes used as an ingredient in berbere, an Ethiopian spice mixture. 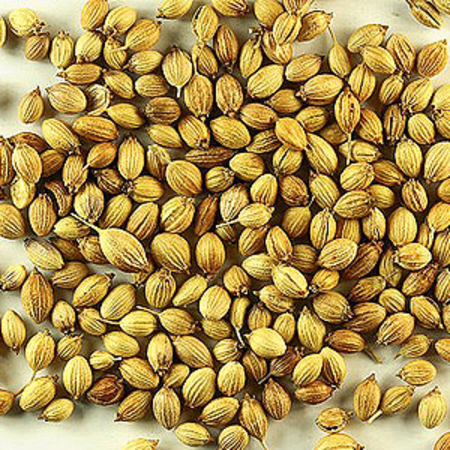 Ajowan essential oil is steam distilled from the seeds of Ajowan. 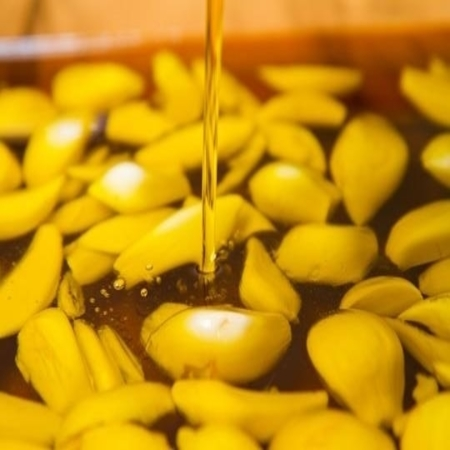 The oil is extracted from the leaves and flowers also using the steam distillation process. Caution Dilute before use; for external use only. May cause skin irritation in some individuals; a skin test is recommended prior to use. Contact with eyes should be avoided. Hazards Drug interaction; may inhibit blood clotting; skin irritation (low risk); mucous membrane irritation. No information found for ajowan oil. In a 48 hour occlusive patch test on 50 volunteers, the highest concentration of thymol producing no adverse reaction was 5%. Gastrointestinal toxicity No information found for ajowan oil. Because of its thymol content, ajowan oil may possess some degree of mucous membrane irritancy. Carcinogenic/anticarcinogenic potential No information found, but ajowan oil contains no known carcinogens. (þ)-Limonene, carvacrol and thymol display antitumoral activity. A type of ajowan oil devoid of thymol does exist, containing 46% carvone and 38% limonene. Ajowan oil is rarely found outside India, the Seychelles and the West Indies.